October was a bit of a let down in terms of dividends compared to September although that's the norm so I'm not really disappointed. My FI Portfolio produced $291.30 in dividends during the month. My Folio First portfolio chipped in $8.28. 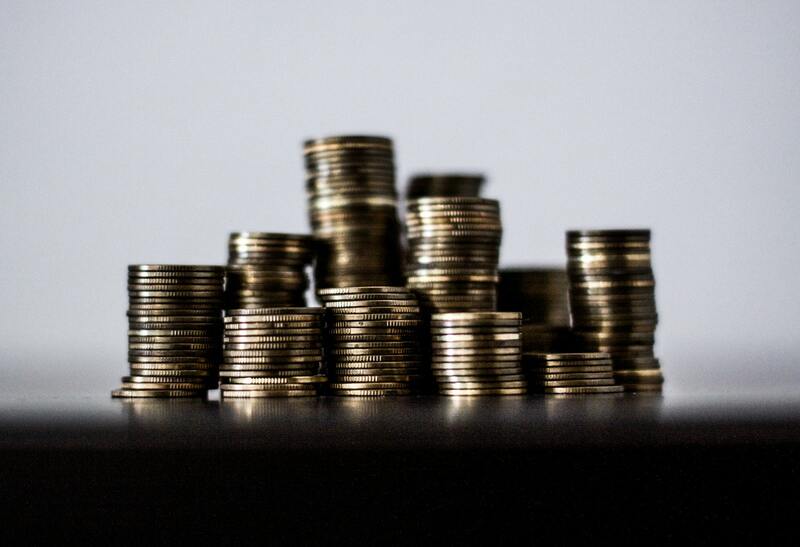 The Roth IRA was able to churn out $46.44 in dividends as well. Across all 3 accounts my investments provided $346.02 in income for October. 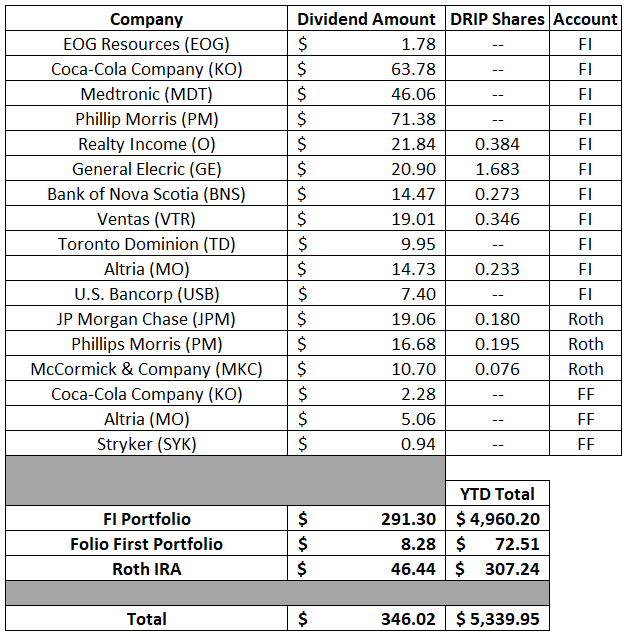 As I mentioned above my FI Portfolio produced $291.30 in dividends last month. Compared to July that's a solid 3.9% increase. However what's really exciting is that year over year that increase jumped up to 14.4%! That growth was primarily fueled by dividend growth and some select dividend reinvestment. What I think really shows the power of dividend growth investing is that the YTD, through October, total for 2018 is almost $450 higher than 2017. That's a healthy 9.9% bump and has mostly been due to dividend growth rather than new purchases. My Roth IRA chipped in a solid $46.44 during October. That's a huge 15.0% increase compared to July of this year. Compared to last year it was an even bigger 23.7% increase. What's really great about that is that it's 100% from dividend increases and reinvestment and truly shows the power of dividend growth investing. The pay raises just keep on coming. October saw another 3 dividends being raised up among my FI Portfolio positions. You mean a company I own a piece of, albeit tiny, wants to pay out more of their profits to me just because I own part of the company? Sign me up! Combined those 3 companies boosted my forward 12-month dividends by $10.75. Through the end of October I've had 51 announced raises from 44 of the companies that I own combining to increase my forward 12-month dividends by $462.65. What's really amazing is that organic dividend growth this year has already surpassed 2017's total of $267.57 by 73% and there's still 2 months to go. My forward 12-month dividends for my FI Portfolio ended September at $6,786.99 while my FolioFirst forward dividends are at $90.88. That brings the total taxable account forward 12-month dividends to $6,877.87 My Roth IRA's forward-12 month dividends increased to $397.36. Across all 3 accounts, assuming no dividend cuts or position size changes, I can expect to receive at least $7,275.23 in dividends over the next year. The rolling 12-month monthly average for my FI Portfolio is at $510.69 per month which is a solid $37 above 2017's monthly average of $473.37. I also officially cross the $500 month mark which means over $6,000 of dividends received over the TTM! How were your dividend for October? Are you on track to smash your goals for the year?